Sunshine Lady. Perfect for hot weather bike rides. 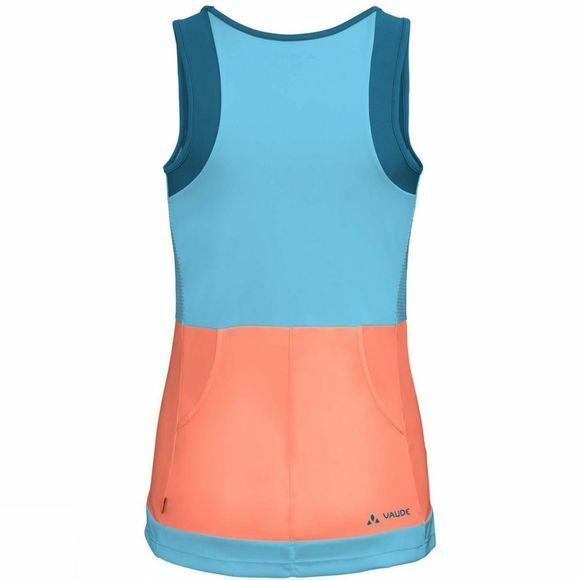 This sleeveless jersey with a wide neckline and side mesh inserts provides maximum ventilation on hot summer tours. 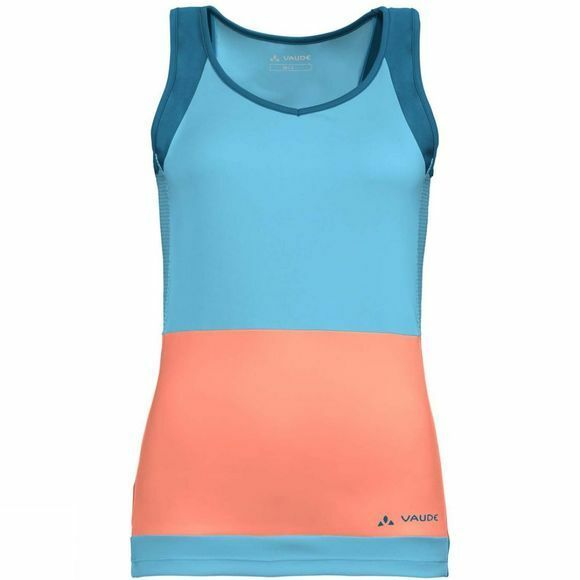 The functional fabric is lightweight, breathable and dries quickly. All your necessities for the ride fit into the two back pockets. The VAUDE Green Shape label stands for environmentally friendly, functional products made from sustainable materials.